Somewhere out there, right now, your next customer is tucked away in a cramped dorm room, hoodie on head, earbuds in ears, face illuminated in the glow of a laptop screen. And it doesn’t matter if that college student is writing a term paper or binge-watching the second season of Stranger Things on Netflix – she’s still someone your company should engage. Why? Because despite their reputation for being broke, college students find ways to spend billions every year on technology, entertainment, food and travel. These educated Millennials are entering the coveted 18-34 demographic, becoming independent in the way they spend, and establishing brand loyalties that could last them well past their early careers. Alright, you say, but what if I’m not Apple or Lyft or an avocado toast restaurant? How do I reach this demographic? Good question. The best way to market to college students is to understand them. Brands who tap into the minds, habits, and behaviors of students are the most successful at reaching them. Here are a few places to start building a relationship with college students. 1. Meet them where they are. Physically, college students are on campus. This makes it easy for brands to be hyper-local in marketing efforts. Refuel Agency placed this Arm and Hammer ad near 81 college campus laundry facilities and reports a 56% increase in students’ likelihood to purchase after seeing the ad in context. If out of home ad placement isn’t feasible, sponsorships are another way to engage with students locally. Large and small businesses can sponsor events, formals, tailgates, lectures– and even laundry trucks. (It always comes back to laundry.) Southern Methodist University’s laundry truck service, Mustang Laundry, drives around campus with a giant Tide logo. 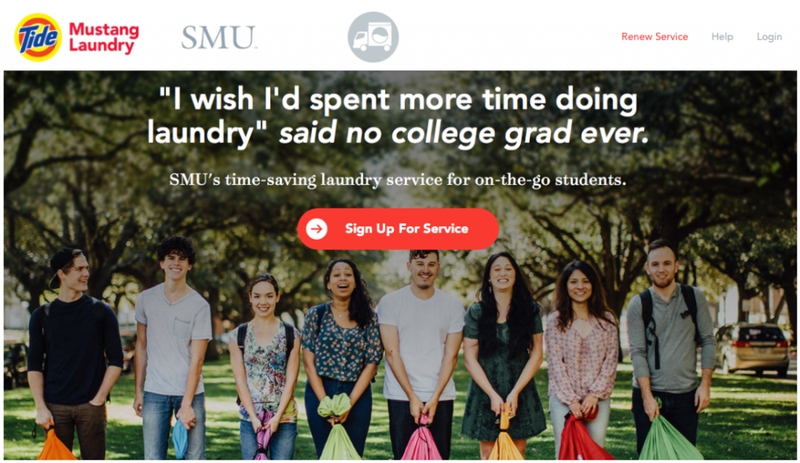 The website boasts the service can save students over 80 hours a year, and they can download an app to track their laundry. Tide does create a physical presence on SMU’s campus, but it also knows the true key of meeting students where they are: on their phones. Refuel Agency reports students spend 45.8 hours a week on social media or consuming content on laptops, tablets and phones. I had to do some math to figure this out, but that’s over 27% of the total hours in a week – spent on a screen. The content on the screen is ever-changing. Neustar reports college students are phasing out tenured social media platforms like Facebook and Twitter in favor of Instagram and Snapchat. The report explains that to reach college students, efforts can’t stop at being on campus, they need to “extend more into the college experience” by leveraging social media platforms and technology. And it’s true. When students aren’t on social media, they’re probably tracking that laundry truck on the My Laundry app, sponsored by Tide. 2. It’s a two-way conversation. It makes sense that Tide used out of home and digital ads to market to a demographic who is unlikely to see a lot of traditional advertising. Today’s college students are more likely to stream TV and movies from online platforms than to use cable, and they’re used to filtering out (or fast-forwarding) advertisements. That’s why engagement is important–brands who find ways to interact with college students rather than sell to them are more likely to win their loyalty. Grubhub embraced students’ screentime habit and engaged with them using Snapchat. Grubhub is creative in the way it uses the popular social media platform to create brand awareness, according to Digiday. College students are a key target for Grubhub, so it’s created Snap Ads, games, prizes, Geo-filters that are shareable and interactive. Speaking of shareable, college students are more likely to be influenced by one another than they are by a banner ad. Students live within a small and local eco-system, borrowing each other’s habits and recommendations. That’s why companies who use influencers to get their names on campus foster valuable relationships with students. Influencers come in the form of Instagrammers, YouTube stars, brand ambassadors, college athletes, organizations or alumni. A strategic brand influencer can break into a campus’ echo chamber to promote products and create brand awareness. If a student can’t engage with your brand on a Snapchat game, they still might be able to engage with a friend on social media or a brand ambassador. 3. Follow the rhythm of the school year. College students live by the school year calendar: Back-to-School, Move In, Homecoming, Thanksgiving, Finals, Winter Break, Spring Break, Graduation. These yearly milestones dictate school supply needs and travel spending for students (and their parents). Companies can predict what students are likely to buy leading up to these dates and find creative ways to interact with them. That’s why Grubhub’s Snapchat filters are timed for campus events, finals, and graduation. Another example is Target, who reaches first year college students at one of their most memorable milestones: moving into a dorm. Consumerist reports after 15 years of party-busing new college students to Target stores for after hours shopping and discounts, the company is now bringing the store to the students. 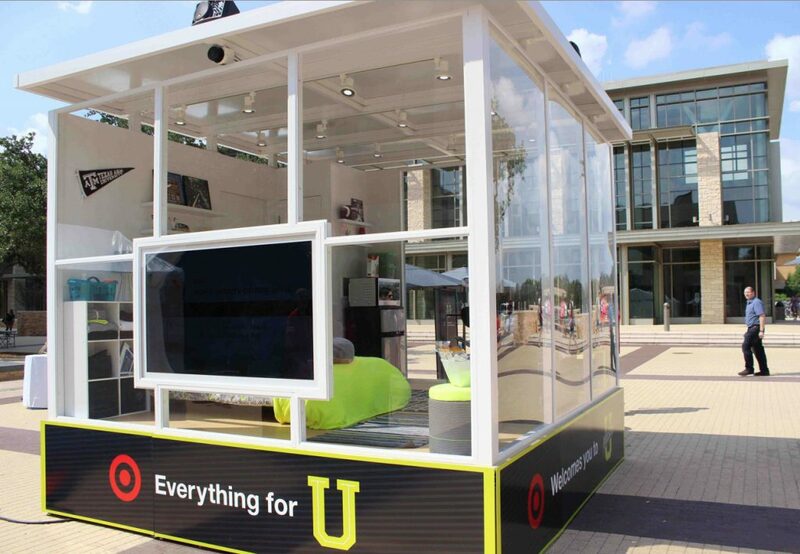 Their new Target pop-ups on campuses reach students and parents on move-in day, showcasing dorm room decor and supplies in a mini retail setting. Most companies don’t have the resources to bring a pop-up shop to colleges across the country. On a smaller scale, Proctor and Gamble gave Resident Assistants sample packs of products–laundry detergents, stain sticks, and deodorant–to hand out to residents on move-in day. Reaching college students all comes down to one thing: relationships. If you don’t want students to “swipe left” on your company, you’re going to have to relate on their level. And if you aren’t sure what “swiping left” is, maybe that’s the first place you can start. Liz Navarro is a writer, speaker, teacher, and communications professional. 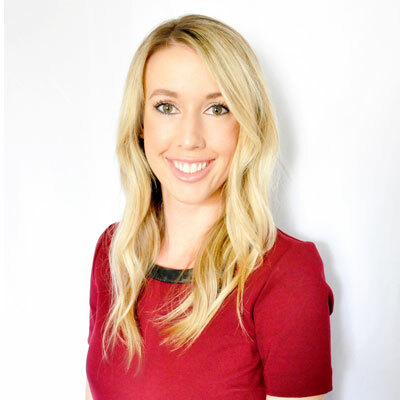 She is passionate about finding a voice in brands and people; she uses her own voice a lot, too.